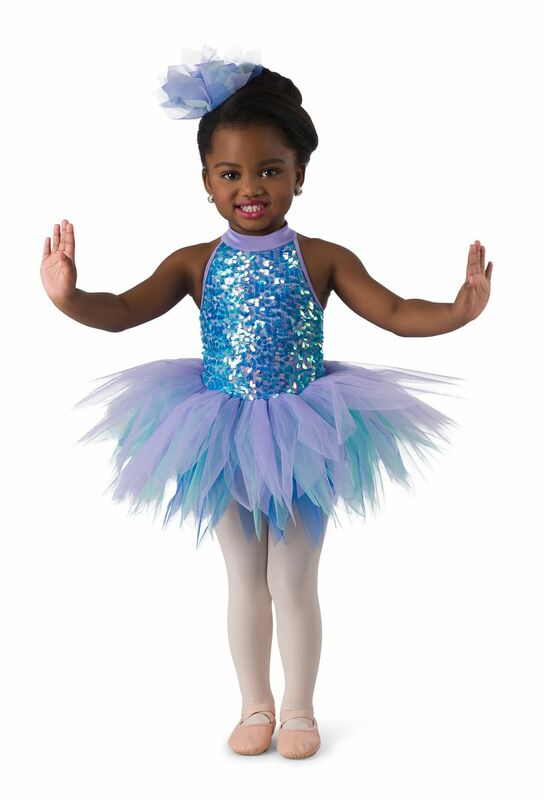 Iridescent spangle sequin mesh over lavender spandex leotard with adjustable straps. 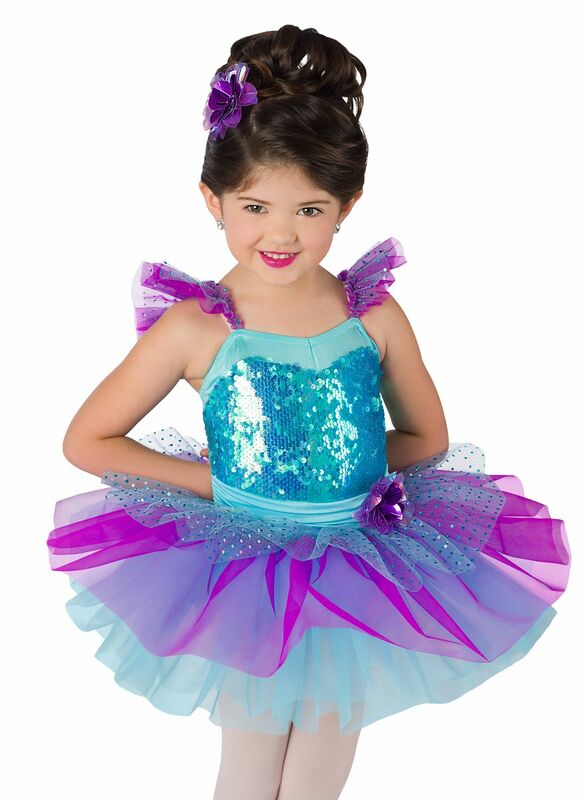 Attached feathered multi-colored tricot tutu. Imported.